INBOUND 2018 has come and gone, and I'm honestly still processing all that went on during the content-packed week. As you've likely already heard, HubSpot had a major outage right in the middle of the event that took over 24-hours to fully resolve. But at the same time, they announced a slew of product updates to all three of their Hubs (marketing, sales, and service) that I can't wait to tell you more about in the coming weeks. As IMPACT's HubSpot Specialist, it's my job to keep you up to date with everything that's going on in HubSpot-land. 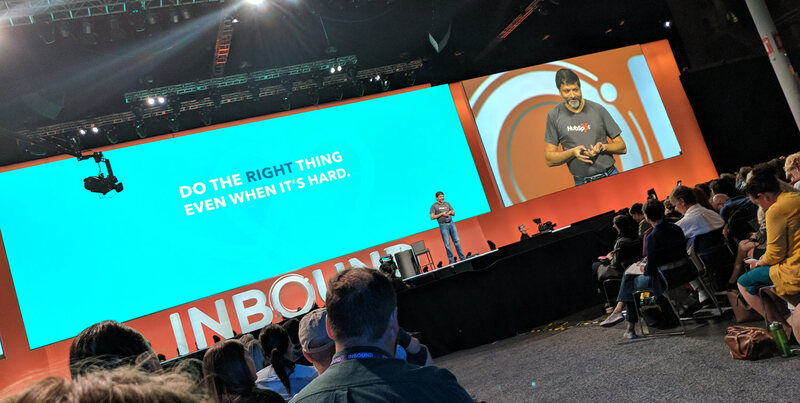 With that being said, here are reflections on what I believe are the most important takeaways from #INBOUND18 that you need to know. 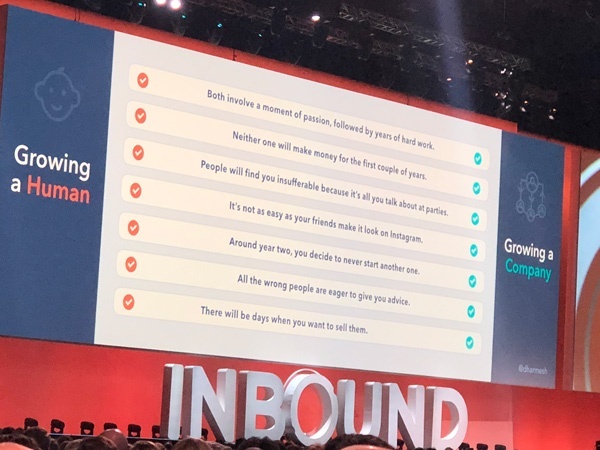 HubSpot founders, Brian Halligan, and Dharmesh Shah gave their annual joint keynote on Day 1 of INBOUND, and for me, it was the highlight of the event. 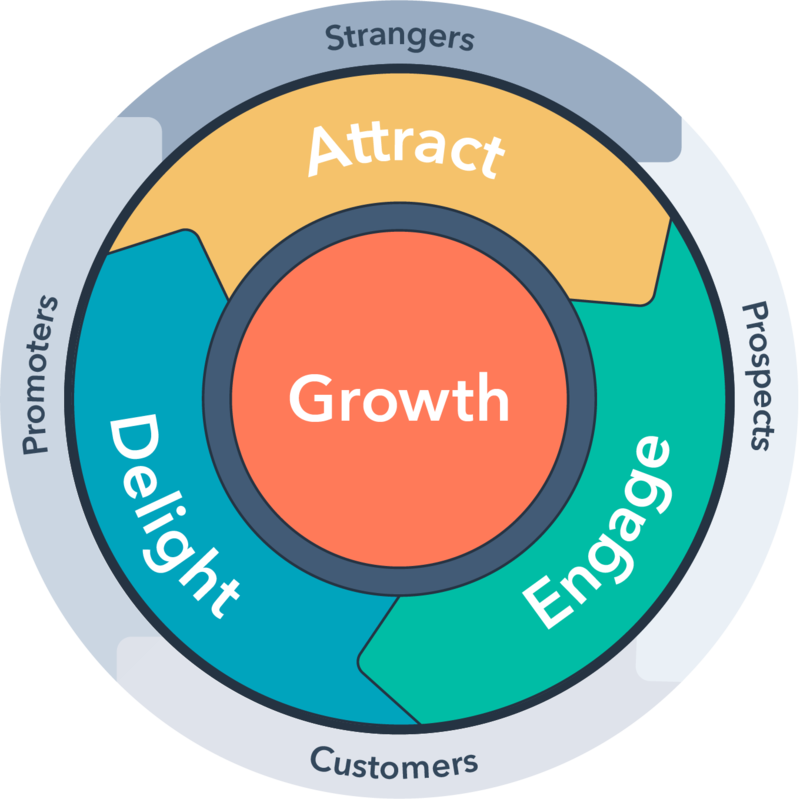 Brian's talk was centered around HubSpot's new growth model: the flywheel. Dharmesh's portion of the keynote was my single favorite part of INBOUND this year. It was authentic, vulnerable, and hilarious - I highly recommend watching it (in the video above starting at 44:40). While Brian's keynote focused on the "physics" of growing better, Dharmesh's keynote focused on the "philosophy" of it. He shared things he's learned from both growing a human (his son, Sohan) and growing a company. The ultimate lesson: to grow better, you need a culture that puts the customer first. That's why HubSpot just released their brand new Customer Code. "How do you grow better? The answer is simple: do the right thing. Even when it’s hard. Especially when it’s hard. The hard choices are the choices few others will make. This is what creates delighted customers, and customer love is the most powerful force to move our flywheel." HubSpot always uses INBOUND as an opportunity for major product announcements, but this year felt different. From new product tiers to enterprise-level features to the standalone CMS, there's a lot going on with HubSpot to be excited about. Whether you're an agency partner or a power user of the tools, there's something in these announcements for you. HubSpot's increased investment in research and development in 2018 is bearing fruit for all three of their Hubs. Improvements to HubSpot's tools across the board have increased my (and other's I've spoken with) confidence in the future and legitimacy of the platform, not just for marketing automation, but for sales and service as well. Holy cow. If this doesn't change the HubSpot game forever, I don't know what will. Along with their other product announcements at INBOUND, HubSpot announced they are bringing native video functionality to Professional and Enterprise users, powered by Vidyard. This new partnership opens the door for functionalities like embedded CTAs and forms in videos, automatic video transcriptions, 1:1 videos in sales and services tools, and even video watch data integrated into individual contact records. The inbound community has been going all-in on video for quite some time, and HubSpot has finally listened. Leveraging video throughout your flywheel just got a whole lot easier, and we're excited to bring you training on how to leverage both video and HubSpot together! If you've got questions on any of the new tools or methodologies that were announced at INBOUND, reach out! We're here to help, and have already built out trainings specifically for all of the new products that just went live!